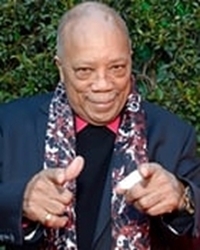 Quincy Jones: 'The Beatles were the worst musicians in the world' . Beatles Radio: The Beatles, Solos, Covers, Birthdays, News The Fab 4 and More! Legendary record producer Quincy Jones has described the Beatles as “the worst musicians in the world” as he recalled meeting the band for the first time during an interview to promote a new Netflix documentary and US television special. Jones recalled arranging Love Is a Many Splendoured Thing for Starr’s 1970 debut solo album Sentimental Journey.